Single-tooth implants can be used in people who are missing one or more teeth. An implant is surgically placed in an opening that your dentist makes in the jawbone. 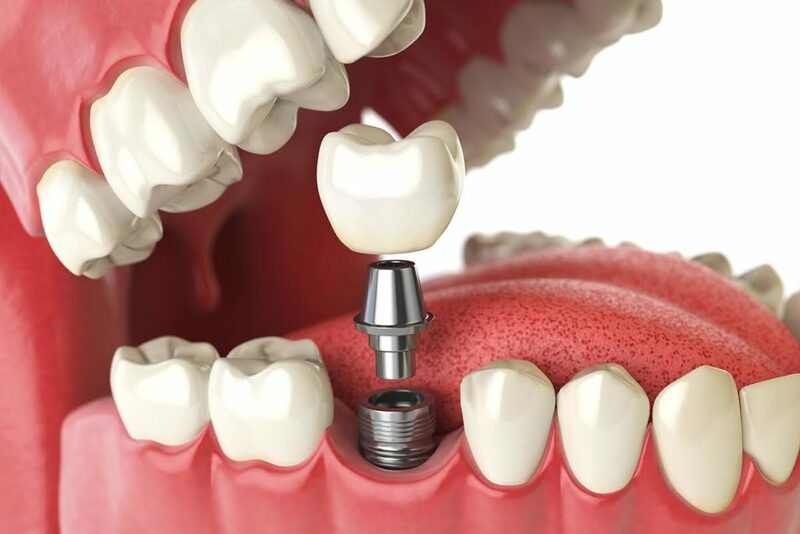 After the implant attaches to your bone, it acts as a new “root” for the crown that will replace your missing tooth. A crown (cap), which is made to look like a natural tooth, is attached to the implant and fills the space left in the mouth by the missing tooth. If you are missing a tooth or more than one tooth, you may need dental implants. Implants can protect you from bone loss at the location of the missing tooth. Talk to Dr. Elbrecht to see if he thinks you would benefit from receiving implants. Dental implants generally have a 98% success rate. But the success of dental implants depends on the placement within the jaw. With proper care, dental implants can last for a lifetime. Whether or not insurance will cover your dental implants will depend on your unique situation. Because getting implants is usually a cosmetic procedure, it is generally not covered. In some cases, your implants may qualify for insurance coverage.